Yep it’s Halloween, so instead of wishing for our daily bread, it’s time to go after some brains, zombie style! The recipe for this comes from The Kitchen Overlord’s Illustrated Geek’s Cookbook. 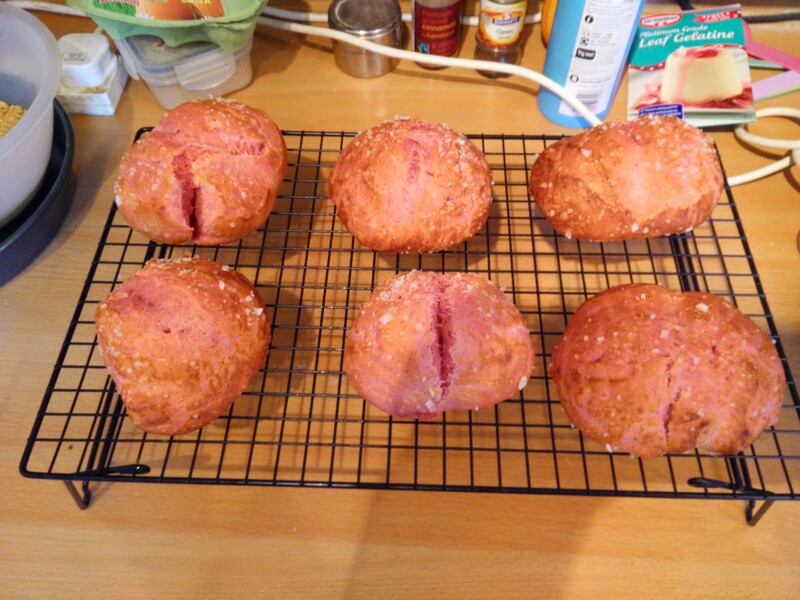 It’s a 750g enriched dough with red food colouring in it, which after rising is boiled in a baking soda solution, a la bagels, then shaped into brain shapes, scored down the middle, with more small scores to make the lobes and folds of the brain, before being baked. 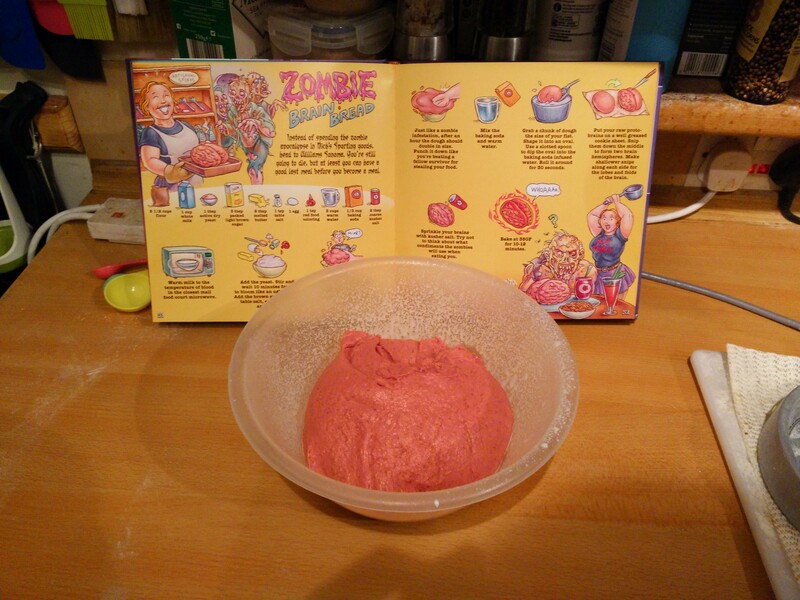 Of course we’re hipster zombies, so we’ll be having sourdough brains! 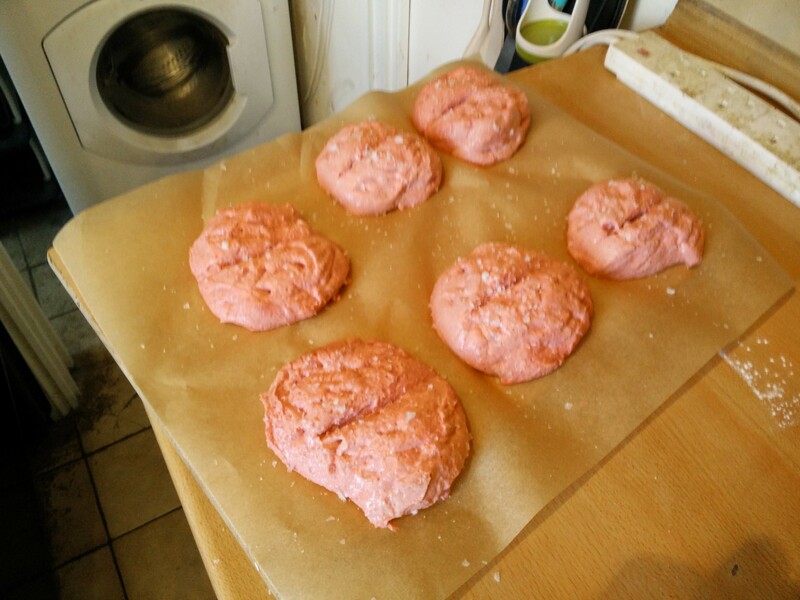 So the day before Halloween I make a normal enriched dough, but with added food colouring, and fridge proof overnight as usual. 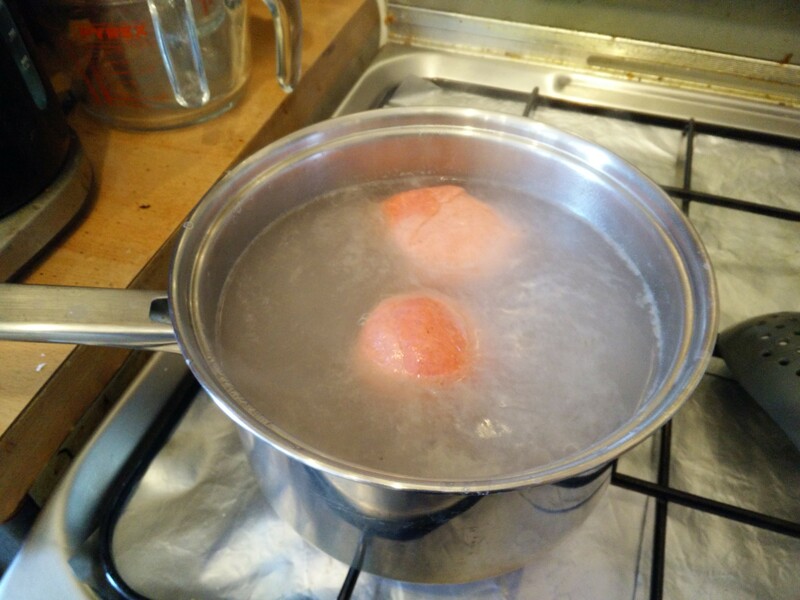 In the morning, it’s time to boil up my brains! Then cut them into brain shapes… which got progressively harder as they started sticking to things! Then bake, which as always took higher temps and longer time than suggested due to using sourdough. Well… only a couple resemble brains – but they all look like some sort of internal organ!